Architectural glazing construction projects are larger and more complex than ever before. Even with the early adoption of various new technologies available (e.g. BIM and prefabrication) to smooth the specification process; Specifiers, Architects and Contractors face increasingly challenging workloads. Balustrade Components UK recognises this and offers complete glass balustrade fixings manufacturing facilities under one roof. Our range of high quality balustrade components are carefully manufactured in our Cannock-based factory, and are backed by unparalleled technical guidance and specification advice. From concept to completion, we are able to control the entire specification process for balustrade installations in new build and refurbishment projects. We work closely with specification professionals to ensure their balustrading requirements are met in a timely, comprehensive, and exact manner. By integrating our balustrade fixings into their projects, specification professionals are reassured that their glass balustrade installations will be aesthetically seamless with high levels of functionality and performance. Our range of clamps, baluster posts, handrail brackets, standoff point fixings, glass brackets and other accessories are manufactured under strict conditions in our Staffordshire factory. Their quality ensures architectural glazing projects comply with UK Building Regulations, notably Approved Document K for the Protection from Falling, Collision and Impact; and BS 6180:2011 Barriers in and about buildings. Here at Balustrade Components UK we appreciate that every architectural glazing build project is different. Unforeseen events or demanding lead times are common and liable to give specifiers a headache. We work closely with our clients throughout the whole specification process which ensures a high quality glass balustrading solution is designed and installed, and importantly deadlines are met. From the initial contact, our dedicated team is able to work with architects’ drawings or bills of quantities. Taking into consideration on-site measurements and other environmental factors, we produce technical drawings for glass balustrading installations. Once approved, we work closely with our approved fabricators and installers, who uphold our strong values and ethos for high quality balustrade systems. This ensures every glass fixing and glazing panel are installed according to within strict tolerances, safeguarding high aesthetic properties and ensuring compliance with Building Standards. Paul Startin, Managing Director, comments, “Specifiers and Architects are surprised sometimes when we tell them we produce all of our balustrade fixings in-house. This means they don’t have to worry about importing or sourcing their components elsewhere, and also benefits projects as we can produce fixings completely bespoke for their requirements. We have a great team here who are happy to help with all aspects of specification, legislation and guidance on best practices within the industry. 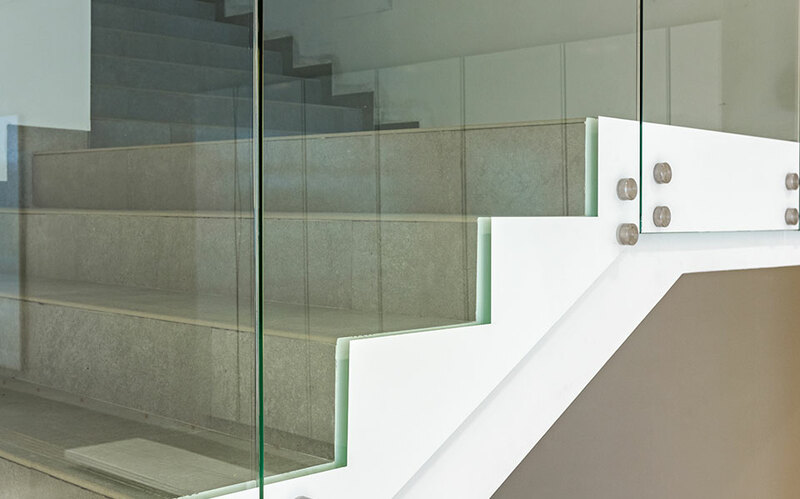 Balustrade Components UK produces an extensive range of structural glass fittings for beautiful glass balustrading using the highest quality materials available – including Grade 304 and Grade 316 stainless steel as well as zinc alloy. We source the finest 304 and 316 stainless steel as it provides the greatest levels of corrosion resistance, fire and heat resistance, strength-to-weight ratio advantage, hygienic properties, impact resistance and its clinical aesthetic appearance. 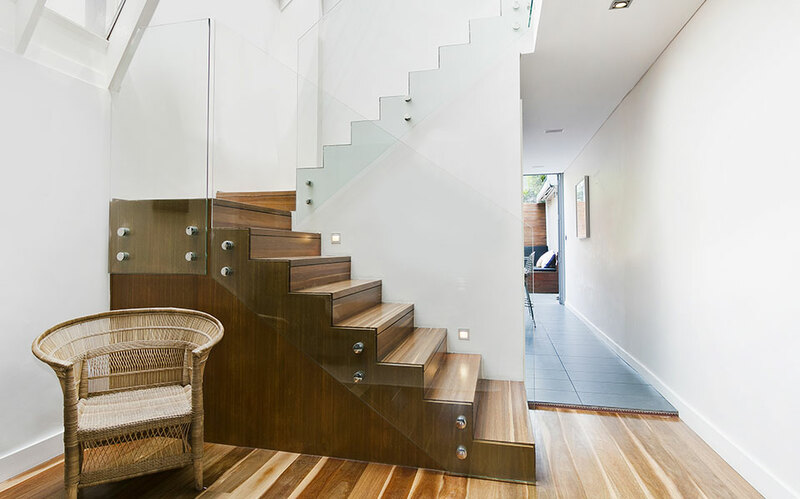 These factors mean stainless steel lends itself as a suitable material for high quality balustrade fixings, and ensures quality stems through the entire specification process. 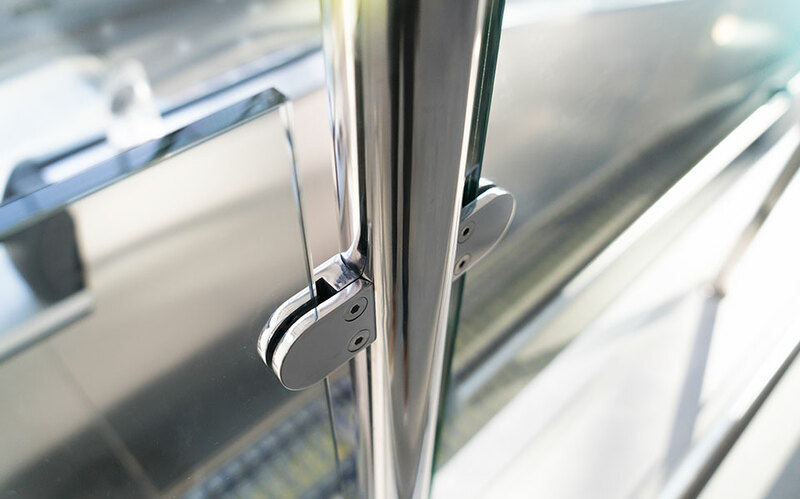 We are able to create bespoke glass hardware options for any project requirements. Our CNC machines and highly skilled operatives can manufacture glass balustrade fixings for any project design. Specification professionals appreciate this flexibility and we receive more and more requests for bespoke options. Our range of balustrade components are suitable for frameless or handrail balustrade designs, and conform to UK Building Regulations Approved Document K and BS 6180:2011. This instils confidence in any balustrade design project and means they are perfect to integrate into residential, commercial and industrial build projects.